Collaboration by Design (It’s not who you know, it’s who knows you (even when you’re unaware of it). Recent events, particularly in the financial advice industry, have brought the topics of ethical behaviour and conduct into sharp focus in Australia. Establishing and embedding a culture in which employees conduct themselves in the ‘right’ way, doing the ‘right’ thing at the ‘right’ time, regardless of circumstance, is critical to an organisation’s ability to conduct itself in a manner that is commensurate with its regulatory obligations, the expectations of its stakeholders, including its customers, and its corporate vision. In this session we will hear from Hilary Armstrong from the St James Centre on individual ethics and how organisational cultures shape employees’ interpretation of the boundaries between good and bad conduct. This short presentation will be followed by a panel discussion in which panelists will share their views and practical experiences on the way in which a range of organisational processes and practices (such as, product design and approval processes, origination and sales processes, governance, and performance reward and consequence management) influence the behaviours and conduct of employees, shape the organisation’s culture and determine the exposure to the risk of misconduct. “We all have relationships – with our partners, children, parents, friends, colleagues and many others. And, according to the authors of Positive Relationships: Evidence Based Practice across the World – several of whom are associated with Wellbeing Australia, the quality of these relationships is critically important for our overall wellbeing. This may seem obvious but many people struggle in their relationships – perhaps at work or in families – or behave in ways that do not take account of other people – or make quick judgments based on stereotypes”. Welcome to the herBusiness program, where we interview inspiring businesswomen and entrepreneurs. Australians need to shift approaches to leadership and focus on “connected intelligence” (CI) to cope with social media and the “democratisation of knowledge”, an Institute of Executive Coaching and Leadership (IECL) white paper said. Dr Hilary Armstrong describes her outlook and philosophy on executive coach training when Director of Education at the IECL..
What legacy will you leave online? Yesterday when archiving my inbox I came across emails from two dear friends who died a couple of years ago. Your Door is Open – but do your people walk in? 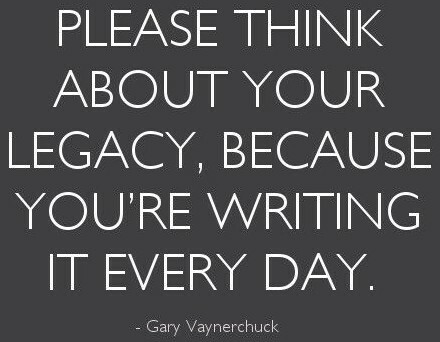 In the social era what matters is not that you have an open door policy, it’s whether people walk in. Leadership development is big business. Millions of dollars are spent on researching leadership, publishing innumerable books and training aspiring leaders. Has leading authentically got limits? Over the last few weeks I have been reading regular bulletins from a leader of a small organisation- part of an attempt to help the organisation connect across silos. Hilary is a Director of Changeworks and a thought leader in collaborative leadership, cultural change, coaching and applied ethics. She is a Master Certified Coach (MCC) with the International Coach Federation and an experienced facilitator, mediator, coach, applied ethics consultant and social researcher. Currently she is transforming businesses through digital insights in her unique Collaboration by Design program (n partnership with Optimice Pty Ltd. Her most recent roles have included the Head of the Practice at the Ethics Centre, Director Education at the Institute of Executive Coaching and Leadership. As Head of the Practice at the Ethics Centre she contributed to and developed a program on Ethical Literacy that includes the current research from moral psychology, philosophy and behavioural ethics which is being rolled out widely across the Financial Advice sector. As Director, Education at the Institute of Executive Coaching and Leadership she designed and ran the accredited coach training program as well as the research, design and facilitation of interventions to create values-based leadership in organisations and communities. Clients include large corporates; Banks such as ANZ, CBA, Westpac, NAB, ING, Suncorp and AMP, manufacturing companies and various Commonwealth and State government departments (such as ATO, Human Services, DEET, Trainlink and Sydney Metro) and major universities such as Sydney Uni, UTS, UNSW and RMIT. Designer of Collaboration by Design program to enable collaboration across an organisation. PhD, Crit. Psychology, WSU; MSc (Hons), Grad Dip.Soc.Ec. Cert. Narrative Therapy, Dulwich Centre Aust. Julie-Anne is recognised internationally as a thought leader and expert in the emerging field of organisational and executive coaching. She possesses a solid record of coaching for more than a decade at all leadership levels in organisations and across all sectors of the economy and in a wide range of industries. In her work, she assists leaders to realise their potential and implements coaching programs designed to enhance leadership capability and organisational cultures. She has contributed to shaping the professional coaching industry in Australia through the publication of her PhD research in the book, ‘Experiencing executive coaching‘ (Scholars Press 2014) and her involvement in the Standards Australia ‘Coaching in organizations‘ project. She has always bridged both practice and research with her ongoing involvement in research and university education and is a Editorial Board Member for the Philosophy of Coaching: An International Journal. 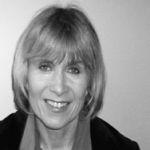 She writes and publishes whenever she can and is passionate about advancing the practices of coaching and leadership. Julie-Anne adopts a strengths-based approach in her coaching, which was described by a former client as “tough, fair, clever, gentle and very brilliant”. Based on the findings of her PhD research, she builds a coaching relationship in which clients are challenged to learn and supported to grow. Importantly, Julie-Anne is intent on ensuring that throughout the coaching process her clients develop the capability to undertake ongoing self-development and reflection (become their own ‘self-coach’). Julie-Anne believes that coaching is not a ‘one-size-fits-all’ approach and adapts her coaching to each client’s unique needs. 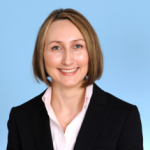 Prior to moving into consulting and coaching in 2005, Julie-Anne spent 15+ years in the corporate sector in senior human resource leadership and business transformation roles in large multinational corporations and government organisations. She has developed and implemented human resources strategy in a number of corporations, designed and lead large organisational change programs, reported in matrix structures and lead geographically dispersed teams across different countries and cultures. This business experience gives her a deep understanding of her clients’ worlds and empathy for the daily challenges that they face. Julie-Anne draws on her pragmatism, warmth and a healthy dose of humour in her work, recognising that organisations can sometimes be (way too) serious places. Editorial Board Member for the Philosophy of Coaching: An International Journal. 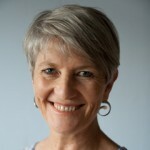 While she is based in the Asia Pacific region, she spends much of her time coaching globally, taking advantage of the benefits that technology brings to the coaching space.Julie-Anne provides pro bono services and donates time to a number of charities and not-for-profit organisations each year. She is currently enjoying mentoring some of the next generation of leaders in marketing and HR. Sharyn is an accomplished executive manager and coaching professional with more than 30 years’ experience driving strategic planning, operational change and delivering results. This includes extensive experience reporting to Boards of Management, Government Ministers, ministerial committees and local government Councils to support their decision-making processes and the highest standards of financial, administrative and public accountability. She has presented at conferences and to parliamentary inquiries, chaired community forums and inter-agency committees. Her experience as a strategic business manager ranges from delivering regional multi-disciplinary health services to managing business units in state and local government with broader responsibilities for service system development. In local government Sharyn built strategic coalitions of influence with regional partners in policing, corrections, education, family and children, Aboriginal and multi-cultural arenas, businesses and community organisations, leveraging Council’s reputation and economic resources to address emerging opportunities for change and achieve results. For the last six years she has developed, managed and coached a team of operational managers with national responsibilities for education and marketing in the accessible telecommunications sector. Sharyn has an impressive record of cultivating a workplace culture that genuinely supports high performing and engaged teams. Using strengths-based performance management and coaching conversations, her management teams create high levels of trust and learning, with a focus on strategic results, and help staff to build receptivity to the change agenda. Having advised on job redesign and work reorganisation, Sharyn has restructured business units to improve productivity and realigned staffing capabilities with corporate directions and contractual agreements. She has also designed, developed and evaluated a variety of planning models and stakeholder engagement strategies. With an engaging and collaborative planning style, Sharyn readily incorporates diverse perspectives and facilitates commitment to strategic action in group decision making, problem solving and business planning settings. Sharyn’s extensive management, consulting and coaching experience is informed by decades of study and practise in the contemplative traditions and an emerging neuro-scientific evidence-base on the effectiveness of mindfulness and meditation. Peter is Director of Changeworks Pty Ltd and an experienced social researcher. He is a trained executive coach, mediator and counsellor. Peter has worked in universities, public and private organisations and communities for over thirty-five years. In these roles he has conducted a range of organisation research, consulting, mediation, coaching, team facilitation, and university teaching, research and work on administrative committees. 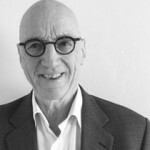 Peter’s work consists in the blending of organisational research and individual executive coaching. At an organisation level research is conducted to understand both internal and external clients and build opportunities for innovation and leadership. At an individual level, executive coaching is used to support change and ensure its sustainability. He is experienced working with people who have difficulty building relationships at work and who exhibiy controlling and/or bullying behaviours. Peter spent an extended time in New York in the 1980s where he completed his PhD (Sociology and Environmental Psychology) and joined the Department of Housing of the United Nations. After completing his PhD he worked in community development in New York and held a position of Adjunct Asst. Professor at Columbia University as well as Associate Director of the Social Impact Assessment Centreand Editor of the SIA Newsletter. On settling in Australia he set up Changeworks and for five years worked part time at WSU coordinating the Research Degree Program for 75 PhD and MSc students in transdisciplinary studies. He has published a number of reports and is a qualified couples therapist, mediator and supervisor. Drew is a dynamic and pragmatic organisational development professional with a proven track record in business partnering, workforce development, values and cultural transformation, change management, performance development, strategic leadership development, executive coaching and transformational facilitation. Drew has a highly successful business background working in and consulting to large corporate enterprises including financial services, higher education, and infrastructure development – managing risk, senior sales teams, cultural change and business re-engineering, leadership and cultural development planning and program design. 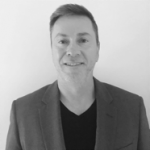 With a career spanning over 20 years in people and organisational development, Drew quickly develops a deep and practical understanding of the challenges and opportunities of the client groups he works with. As a McKinsey trained, senior member of the ANZ’s Breakout and Cultural Transformation team (A Harvard Business case study), Drew has assisted over 3000 leaders in many countries to powerfully re-assess and re-create their approach to effective people and cultural leadership. Drew believes that effective and successful interventions must be values-driven and both strategically and pragmatically designed and executed in order to support the delivery of the key business and cultural imperatives of the organisation. Drew’s work is based on partnering closely with his clients to clearly identify both the current and desired state of the organisation in order to best design and then navigate the change journey. Executive coaching clients quickly develop an appreciation of the impact of their current leadership (conscious and unconscious) approach. They are supported and challenged to make the behavioural changes that will materially develop the positive leadership impacts they will have on others. Executive coaching engagements include, Government, Higher Education, Banking and Finance, NFPs, and Infrastructure and Construction. 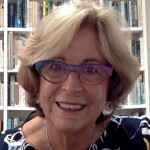 Educator, Researcher and Executive Coach, The Ethics Centre working with NAB (London, NZ, HK, NYC), BT, AMP, CBA and BoQ in the area or Ethical Literacy Development. Organisational Development Leadership Project lead, RMIT University – Consult and design the University’s five- year leadership development / capability strategy. Consultant and Organisational Coach, ANZ Global Markets Australia & Asia Pacific. Practice Development – Organisational Coach. Westpac Commercial Banking Worked with GM and reports through individual coaching interventions agreements over a 24-months transitioning business through post GFC challenges. Senior Cultural Program Lead. ANZ Group – Program lead, coach and facilitator of ANZ’s cultural transformation program (Breakout), a Harvard Business case study. Esmé is recognised as an expert in cultural diversity, mindfulness and critical incident debriefing in the workplace. After 20 years working for NSW Health, guiding the development of culturally appropriate responses to health and addiction problems in Aboriginal communities she now applies her work more broadly, consulting into organisations wanting to embrace cultural diversity, She designs and facilitates diversity & cross cultural awareness programs to organizations across the public sector such as, health districts, NSW Schools, National Parks, Sydney Water, CatholicCare, Benevolent Society, Alzheimers Australia, as well as insurance and advertising companies. Esmé is widely acknowledged for her ability to open a space for conversations based on a common value of respect of differences and similarities in complex and difficult environments. She partners with workplaces to provide cultural diversity training, mindfulness, workplace coaching for diversity and critical incident consulting and coaching. With a formidable passion to find safe ways of connection where there exists misunderstanding or disconnection, Esmé bases her work on the cultivation of group, workplace and cultural values, believing when there is a common ground to work from, anything is possible. Programs in Diversity, Culture and Addiction and Resilience. Consultant between Aboriginal and other communities as a way of increasing access to support, long term employment and understanding. Consultant: cultural diversity training, cross cultural conversations and mindfulness training. Coordinator, Outreach Clinic at La Perouse Aboriginal Health Clinic, SEAHS.